Peter Aprile and Natalie Worsfold interview Jack Newton, co-founder of Clio. If you're not familiar with Clio, then you might have been living under a rock. Clio is the most widely used cloud-based legal practice management system in the world. The group discusses the company's mission to transform the delivery of legal services (for good), the 2016 Legal Trends Report, and what to look forward to at this year's Clio Cloud Conference. Click this link to use the promo code and purchase your ticket! Jack Newton is the founder of Clio, one of the pioneers of cloud-based practice management. Jack has spearheaded efforts to educate the legal community on the security, ethics, and privacy issues surrounding cloud computing and has become a nationally recognised writer and speaker on these topics. Jack has recently joined the board of the International Legal Technology Standards Organization (ILTSO), where he will help the organisation craft standards for law office technology. 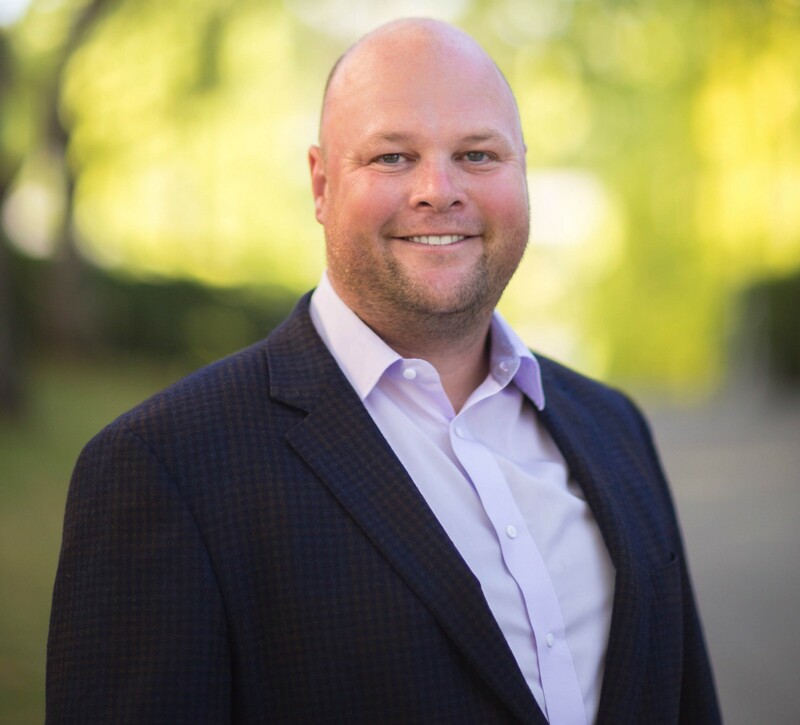 He also co-founded and is acting President of the Legal Cloud Computing Association (LCCA), a consortium of leading cloud computing providers with a mandate to help accelerate the adoption of cloud computing in the legal industry. 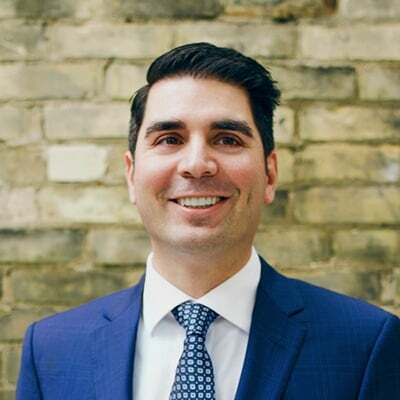 Peter Aprile: [00:13] Hi, and welcome to Building NewLaw, Canada's first and only CPD‑accredited podcast. It's hosted by me, Peter Aprile, and my colleague, Natalie Worsfold. Peter: [01:01] Today we're so excited. Well, in truth, Natalie is really, really excited because we're interviewing Jack Newton, and Jack is a co‑founder of Clio which, as many of you know is a leading cloud‑based practice management platform. [01:20] It was founded in 2008 with the goal of transforming the practice of law for good, which is a mission statement they've recently launched. And they want to do this by delivering cloud‑based practice management technologies for lawyers around the world. Natalie: [01:34] So, you're absolutely right. I am excited, and I should get it out of the way early, because I'm a huge fan of Clio. I love its branding, its culture, its simplicity, everything. I think they are an amazing company. Natalie: [01:47] We don't use Clio. It's only because they don't quite have some of the features that we're looking for. And I'm still holding on to the hope that one day that will change. Anyway, our interview today looks at Clio's mission to transform the practice of law. How it's focusing on providing value to its customers beyond just its core product. [02:03] We wanted to hear Jack's thoughts on how lawyers can benefit from taking that same approach with their own clients. Peter: [02:09] So, here's our interview with Jack. Peter: [02:12] So, what we were just talking about is the idea that Clio's delivering value to its users, and frankly, the legal community at large, on a greater scale in a way that's not directly connected to its core product. So, why is Clio doing that? Jack Newton: [02:32] So, I think it's a byproduct maybe of our ambitions getting bigger. Next year's going to be our 10‑year anniversary of launching Clio, which is a hard to believe milestone in my mind that 10 years have gone by. [02:43] And when I look to nine years ago when we launched the product, we really just tried to build a tool that help lawyers get their job done. And we're also new to the legal space, my co‑founder and I are technologists. [02:56] And we saw the legal space as one that was right for transformation. And our first step in getting to know the legal industry was building this tool, and really throwing it over the fence to our first customers and saying, "Hey, is this thing useful?" [03:08] And we got the answer, "Yes, it was," and a lot of feedback on what else it could do and how else we could help them do their jobs better. Cut to nine years later, we've now got tens of thousands of law firms using Clio. We get to see how the best‑run law firms in the world are being run. [03:25] So in that way, I think we've become almost a Boston Consulting Group entity where we're not only providing a tool, but able to collaborate with really high‑functioning, well‑performing law firms, and understand what lessons we could be teaching to law firms as a whole about how they could run their business better. [03:44] And our relationship with our customers has really evolved where they're not just coming to us for a point solution with a software product, but they're asking us questions like, "How should I best‑run my law firm? When should I hire an associate or support staff? How do I find more clients and more customers?" [04:01] And we realize that we've got an opportunity to help our customers in a much more meaningful way than just giving them a software product. Peter: [04:09] So, when you say we have the opportunity to learn about these successful, well‑run practices, how are you learning that? Jack: [04:17] It's really the interactions with the law firm. I think the Legal Trends Report, which we can talk more about later, helps us give us some directional data points on how law firms are performing and what the outliers are. What's some of the best performing and conversely, what's the worst performing law firms look like. [04:35] But it doesn't tell us the story about what underlies that data. What's the operating system that the successful law firm has that's making it so great? And where we get insight into that is, as I mentioned earlier, law firms are really looking to us as a closer partner than just a software partner. [04:52] So, we're engaging with these law firms, getting involved in strategic discussions about how Clio, as well as our integration ecosystem can be deployed into their law firm to make them more productive, more successful. Make their on‑boarding experience for clients better. Make their client interactions smoother and effortless. [05:11] It's those hundreds and thousands of conversations we're having with law firms every single day, month, year that accumulate this huge amount of knowledge on our side that we want to help rise all the boats in legal and disseminate that knowledge. Peter: [05:26] That operating system, what is that operating system that they're bringing to the table that's informing the direction of Clio? Jack: [05:32] So, I think that one overall trend I see in the really successful law firms we're working with is a laser focus on client centricity, really being focused on the client, which is not a surprising finding by any stretch. [05:48] But you'd be surprised how many law firms you talk to that don't actually take very client‑centric view point when they're making decisions. Peter: [05:55] Can you hash that out for me, because client‑centric is a word that gets thrown around a lot? What does that look like in real life? What are you seeing from these firms implementing that? Jack: [06:03] I'll tell you what it means to me, because I agree, it's a word that gets thrown around enough that maybe it loses some meaning. One of the more impactful things that I think about is this concept of the effortless experience and trying to make the experience of your clients working with you be as effortless as possible. [06:19] I think that can be reflected in everything from your fee structure. Are you billing hourly, which I think is a pretty high‑friction model for your clients? Or are you trying to flat rate your services so that your client views you as a trusted partner. They can phone up any given time without feeling they're on the clock. [06:34] And it goes down to the smaller details. How do you send your invoices to your clients? Are you sending them by mail? Are you sending them couriers full of documents? Do you have an online portal that you're letting your clients access and interact in a really low‑friction way? [06:48] I'll give you an example. A friend of mine was recently choosing a dentist. And I think dentists are even more undifferentiated than your average law firm in term of how they're marketing themselves. And he chose the dentist he went with simply because they offered an online booking form and a mobile app to book appointments with. And he didn't have to phone anybody. Jack: [07:08] And again, that's a simple way where they took one aspect of the experience of dealing with a dentist office, which is the most mundane thing you can think of, scheduling the appointment. But it was the differentiator that let him go with that dentist over the other 15 dentists that came up in his Google search results. [07:27] And I think if you just focus on small, tactical wins like that, that are client‑focused and experience‑focused, you can have unreasonably large wins compared to the kind of investment making in other areas to see that kind of return. And there's not a lot of law firms thinking that way. [07:45] I think it could be one of the most productive things they could do and one of the highest ROI things to do, because a lot of those things are actually free to implement. They just take a few brain cycles to brainstorm around what you could be doing differently. Natalie: [07:57] I feel like most law firms would just hire another receptionist to call more people or something like that. They just don't see it. Jack: [08:02] Exactly. But that's just a microcosm of a larger type of thinking. And this effortless experience concept is a really important one, because it's all about reducing friction for your clients and thinking about the companies that are really changing the landscape of business gets done. [08:18] Amazon is a great example of this. They're famously customer obsessed. And they're famously focused on just reducing friction for their customers, all the way from one click purchasing to what they're doing today in giving you little widgets that you can put on your washing machine to indicate you're out of detergent. [08:33] You click one button, it's a WiFi access point, relays a needing more detergent to Amazon. And a few hours later, you've got a box of detergent on your doorstep. They're just reducing that friction relentlessly. [08:46] To me, the client‑centric approach is about looking at your client and thinking about every aspect of their interactions with you. And what would reduce friction for your client, rather than, a perspective a lot of law firms have, which is a very work product‑focused perspective. And that's really not what your clients focus on. [09:04] And I think the law firms that are pulling apart are thinking about reframing the entire client experience. Natalie: [09:08] Are you guys reaching out to law firm clients, as well as just speaking to law firms? Jack: [09:14] Absolutely. One of our north star metrics is actually thinking about how do we get the Net Promoter Score, NPS, for our clients' clients up? So how do we help our law firms generate more happy clients? That's one of the keys to unlocking law firms success, I think, is having happy clients that refer more future happy clients to you. [09:35] So, how do we make the process of interacting with a Clio lawyer so amazing that clients will actually seek out lawyers that uses Clio because the client experience is so much better? Peter: [09:44] I love that idea. So, how are you encouraging Clio lawyers to implement something like NPS scores? Jack: [09:51] This is functionality we're currently building, by the way. If you go back to your desk right now, it's not in there. But it needs to be, in our view, something that's integrated directly into the intake and off‑boarding process with clients. [10:02] If you close a case, an option should be send an NPS survey to your client. We'd like to make that a completely integrated close‑loop process where you can understand, A, are your clients coming out of the interaction with a positive NPS score and, B, we can start to model what kind of behaviors on the law firm side actually correlate with the high NPS. Peter: [10:22] That is such a smart idea. Peter: [10:25] That's your idea, right? Personally. Jack: [10:26] I can't remember where that idea...There's a bunch of us in the room. Peter: [10:31] That is such a powerful idea. Jack: [10:33] I think that's an extension of us maybe applying how we think about our customers to how we make our law firm successful, which has been a great way for us to learn our customers' business models is to take their perspective, to think about sitting in their seat and the challenges they're dealing with day to day and what kind of KPIs they should be monitoring. [10:53] Then we look at our own, and NPS is absolutely one of the North Star metrics we monitor religiously at Clio. We ship a feature, we monitor who engaged with that feature, what did NPS do with that cohort of customers. We want our law firm customers to have the same kind of power. Peter: [11:07] What kind of revenue law firm is a core Clio customer? Because I don't know if it's a solo or what kind of revenue levels we're talking about for these firms because, as that model changes, the things that Clio's delivering to those people might change or Clio might just not be for them. Peter: [11:42] Of Amicus Attorney? Jack: [11:43] Of Amicus Attorney, of Time Matters. Their hair was on fire. They were just in acute pain, and Clio was the solution they were looking for. They flocked to us. And they're the customers that helped us get started. [11:57] And we'll always serve that customer. I think that's a lot of SaaS businesses that march upwards in terms of the size of customer that they want and, in some cases, turn their back on smaller customers and say, "There's so much money at the top end of the market. We're only going to focus on that." I don't think that's something Clio will ever do because that is the foundation of our business. [12:17] Demographically, it's a huge part of the legal space. Around half of all lawyers practice as solos. Around 80 percent of all lawyers practice in firms of 10 lawyers or less. So that solo, small firm market, that SMB end of the legal market is absolutely always going to be a core part of our business. [12:35] We also think has great long‑term prospects in the legal space where my personal theory is that we'll see the diseconomies of large law firms or very large law firms start to work against them. Technology like Clio and a lot of other products level the playing field with the solos and small firms where a boutique firm can take a run at a Fortune 100 company and win an RFP. [12:59] We'll start seeing that at scale. The 1 to 20‑person law firm, somewhere in there is the sweet spot for the optimal law firm size. That's what the law firm of the future will look like. Natalie: [13:12] In your legal trends report, you were actually able to put data behind sort of where the optimal law firm size is. Can you tell us a little bit about how you did that? Jack: [13:20] First of all, I'll start just giving a little bit of context for what that report is and how we gathered the data for that. So, a light bulb went off for us about two years ago, this was part of this evolution of Clio's story I was telling earlier, where we realized law firms are coming to us with different questions than they were nine years ago. [13:36] Nine years ago, they said, "What's Clio do and why would this be useful for me?" Now the question is, "OK, I'm using Clio. What should my hourly billable rate be?" And we'd have no answer for that. We'd say, "Well, that's not our business." But our business I think is in helping our lawyers be successful. [13:51] And if part of that means knowing what their hourly rate should be, how can we answer that question for them? We looked at Clio and this idea that we have tens of thousands of law firms generating billions of dollars of billing every single year in Clio. This data exhaust is the term we use. This data exhaust is being emitted by Clio and not captured or leveraged in any way. [14:16] And we saw an opportunity to deliver a lot of value back, not only to our customers but maybe the legal sphere as a whole, by leveraging that data, anonymizing it, aggregating it so that we respected our customer's privacy, of course. [14:29] But so that we'd be able to tell that family lawyer in Missouri, "Look, we looked at benchmark data in Missouri, and you should be charging around $200 an hour for your services if you want to be competitive with the market." That was the genesis of the legal trends report. [14:43] One of the data points you were referring to is this kind of sigmoid shaped graph that we generated looking at the utilization rate by law firm size. What you see is the solo actually has the lowest utilization rate. This, by the way quick foot note, utilization rate is the number of hours billed per day out of your usable days. [15:05] Let's say you have an eight‑hour workday, which is probably optimistic for most lawyers but eight‑hour workday. If you had two hours of billable work that happened in that workday, your utilization rate would be 25 percent, two out of eight hours. So, the solos had the lowest utilization rate at around 20 percent. Jack: [15:24] Which means they're billing less than two hours per day. [15:26] The 14‑lawyer law firm had the highest utilization rate at around 45 percent. We saw this kind of inflection point actually around seven lawyers or so where the graph plateaued a little bit. Interestingly, from around three lawyers to nine lawyers, you saw the utilization rate stay at around 32, 33 percent. [15:49] So, this for us was the start of a discussion around what is an optimal law firm size? It's clear that the solo has too much work on their plate, too many non‑lawyering tasks. They're the chief marketing officer, the chief executive officer, the chief sales officer. They're doing every job and obviously ending up with a willingly small amount of time at the end of the day to actually do billable work. [16:12] And just adding one more person to help with the administrative tasks can have such an incredible impact on utilization rate. Then you can see that there's diminishing returns as well. Where you add those two or three people to help, you see a big bump in utilization rate, but then it plateaus until you get all the way to nine lawyers or so. [16:31] So, this is really useful data I think for a question almost every lawyer in the planet is facing, which is how big should my firm be? Is bigger always better? I'm a solo. Should I pair up with somebody else and go for a two‑person law firm? [16:45] And this legal trends report helps you understand some of the economic impacts of those decisions. As shocking as these numbers are, they're right. And it's, I think, emblematic of a structural issue in the industry right now that we need to figure out how to solve. Peter: [17:00] What I'm really focused on right now is people who are actually executing after they have the data. You go from understanding to action. So, have you seen law firms or lawyers that Clio has an association with or not that have taken steps to say, "OK, this is what the data's telling me. Now this is how I'm going to go make my law firm better because of it."? Jack: [17:20] Right. So, it's a great question and one that I've got a partially formed answer to. And I'll have a better answer in a month and a half at the Clio cloud conference as well, and I'll tell you why. [17:31] The first legal trends report to us prompted a really important question, which was the average utilization rate for law firms is around 24 percent. Where's the other 75 percent of their time going? Jack: [17:45] That's what the report didn't answer for us. It didn't give us a window into exactly how law firms were spending their time. All we could see is this is what they're actually billing per day. Peter: [17:56] And the reason why you can't do that is because lawyers are entering billable time in Clio, but not entering the chief bottle washer time or the marketing officer time. Jack: [18:05] Exactly, exactly. So this 25 percent utilization rate, there was two primary hypotheses we had around where that other 75 percent of the time was going. Is it going into overhead related time, and the answer is that lawyers just need to become more productive? [18:21] Or is it actually that they don't have enough work to fill up that time? We didn't know what the answer was. [18:26] If we made you 10 times more productive, would that utilization rate go up? Or are you just going to get that work done faster, but not end up with more billable work because you don't have enough clients to fill up the top of the funnel with? [18:39] So those are the two categories that we saw as potentially contributing to that 75 percent. And what we've launched for the 2017 edition of the Legal Trends Report is a more qualitative survey, where we're trying to understand the answer to that question. [18:53] That's what we'll be talking about in September at the Clio Cloud Conference, is the findings of that qualitative survey, and try to dig into that missing six hours per day. Where is that going? Where is that going, and what can we do to make our lawyers more successful? [19:08] That will actually help us chart a course as a company as well. And I talk about trying to make our customers more successful. If the question is we need to make our lawyer more efficient, we'll focus on that end of the equation. If the answer is we need to help our law firms grow and acquire more clients to convert leads to customers better and so on, we'll focus on that. Natalie: [19:31] If I'm a Clio customer and I log in, can I compare my utilization rate to the average? Is there a dashboard or anything like that? Jack: [19:38] That's actually a feature we're working on right now, is the ability to benchmark yourself with those very metrics inside of Clio against your regionally calibrated metrics. So, keep an eye out for that. Peter: [19:49] Are you going to gamify this? Because that would be the coolest thing. Jack: [19:54] That would be the coolest thing. That's a great idea. Peter: [19:55] That would be so good. Family lawyers compete against each other utilization rate. Jack: [19:59] Absolutely. Here's the leader board. [20:02] It's interesting though, because lawyers don't really know, by and large at least, what key performance indicators they should be monitoring and how devastating that funnel can be. Right? [20:12] The funnel I'm referring to is, your workable day, whether that's eight hours or 10 hours or 16 hours, that utilization rate being two hours. But then the next two steps, your realization rate, so what's actually ending up on your bills after discounting and so on. Then your collection rate, which is what you actually get paid on. [20:31] There's a 15 to 20 percent attrition rate at each of those steps in the funnel. You go from two hours, to 1.8 hours, to 1.6 hours of collected revenue for each day of work. If you wonder why the average solo is struggling to pay back that $200,000 student loan, that's why. [20:50] It's just an indicator of structural problems. There's no other industry in the world that I think could survive with that kind of attrition rate between work going in and revenue being collected. Peter: [21:03] We've been talking a little bit about what Clio's focused on outside of its core product. You said that the reason why we're doing this is to make Clio lawyers stronger, to make better lawyers, and to change the legal industry in some way. [21:17] And I think this is what almost all businesses should be doing, and Clio's a great example of that, and arguably, what our law firm should be doing for their clients. Is there a concern on your part that focusing on these other value‑adds takes time, money, and energy away from investing in Clio itself, like the core product? [21:35] Because I envision lawyers sitting saying, "This is all well and good for Clio to do, maybe at the size that Clio is, but every moment you're spending producing a legal trend report, the 'software' isn't being developed." Jack: [21:46] Yeah, it's a great question. I would answer it in two ways. [21:51] One, I don't see those as being mutually exclusive, because we're not making a zero‑sum investment in these efforts. When we invest in something like the Legal Trends Report, we're investing in hiring a data science team and analysts, and some of my own time obviously, and other leadership in the company putting time into it. [22:11] But it's an investment that we're able to make without it being at the cost of the product. And the second more important point, maybe, is that we really think we need to be doing something bigger than just building a product that services the needs of lawyers today. We need to be helping the industry as a whole move to where we think it needs to get to survive and to thrive in the 21st Century. [22:35] And part of that is going above and beyond and not just building a software product. We need to be building a law firm of the future. And I think in the same way that Amazon looked around at bricks and mortar retailers 20 years ago and realized there's an opportunity for disruption here, I look at the legal space, and see many of the same sign posts warning that this model is not going to survive forever. [23:03] And we think the model can survive and can thrive, but there's got to be a significant rethinking of how lawyers deliver legal services. And we want to be the catalyst for that change and help the industry along with that transformation. [23:16] And that involves education. That involves making a case with data, creating a sense of urgency, helping manage that change. And we can't make a claim like lawyers need to change the way they work without something like the Legal Trends Report to support that claim. That's data actually pointing out a few significant structural issues with the industry. [23:39] That's the reason we're doing it, really, at the end of the day, is we think that transforming the practice of law is not just something that we'd like to do. It's something that we have to do to thrive as a company in the future, because we think that the true opportunity for growth for both Clio and the practice of law as a whole is going to be in transforming how we work and how we collaborate with our clients and how we run our law firms. Peter: [24:04] This is what I love about Clio. It's focused on doing something bigger than itself, and believes that that's important. I would suspect that that also means that when Clio looks at its clients, Clio says we want you to do something bigger than yourself, too. [24:19] And so, I don't know if this is a fair question, but what do you want them to do bigger? Jack: [24:24] I think the one thing that every law firm could benefit from that is not necessarily being bigger, but just being better, is at the business side of running a law firm. I think this is a failing of the education system that's producing lawyers right now. [24:40] A lawyer is being handed a law degree, and in many cases graduating into an environment where they've got either not choice or the best choice is to hang a shingle and run a solo or small firm practice with absolutely no training on how to run a business. [24:54] What is a lead? How do you convert a lead into a client? Once you've got a client, how do they want to be interacted with? Do you do things like collect NPS at the end of an interaction? Are you measuring things like utilization rate, realization rate, collection rate? [25:09] Are you able to track how all of your law firm metrics are tracking? All of these are such crucial things to running a successful business. And lawyers are almost uniformly ill‑equipped to do a good job of that graduating from law school. [25:25] So, the one thing that's very tactical that we're trying to do with the Clio Cloud Conference and a lot of our other materials and the dashboards and so on that we're building into Clio is to make the business side of running a law firm really easy. [25:37] If you can be a great lawyer and do a good job of representing your clients, you can focus on that, and we can hopefully abstract as much of the operating system side of running a law firm from a business perspective away from you and help give you directional advice on how to best‑run your law firm. Natalie: [25:55] We hope you are enjoying the podcast. We want to take one minute to tell you about a new segment that we're adding to the end of each episode. 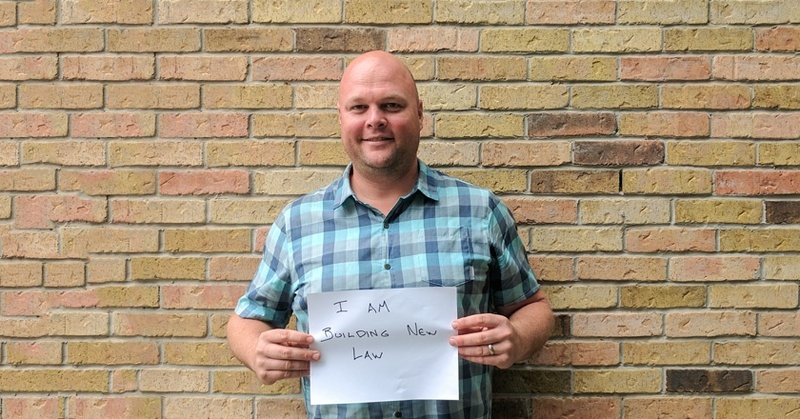 It's called "I am Building NewLaw," and it gives you the opportunity to share what and how you are changing the practice of law. Peter: [26:14] So, if you're building a new law firm, legal tech company, or product, we want you to record a message and tell us all about it. Natalie: [26:18] Just go to countertax.ca/iambnl. Click on the voice mail button and tell us what you're building and why. Peter: [26:26] And now back to the show. Peter: [26:32] So, shifting to another thing that Clio's doing, Clio Conference. Why are you guys doing it? Jack: [26:39] So, the inspiration for the Clio Cloud Conference for me was looking at Salesforces and what they built with the Dreamforce Conference. And for your listeners that might not be familiar with the Dreamforce Conference, it's now become the largest conference in the world, with over 100,000 attendees. [26:55] And what Salesforce succeeded in doing was building something that was bigger than themselves in that conference. And, I saw the same opportunity for Clio to do that in legal, where I wanted a conference that was technology‑focused and built on a foundation of talking about technology, but also focused on the future of law. And how does technology enable us to get to that future? [27:21] And a collaborative environment where we could get technologists and practicing lawyers together and kind of collaborate on what the future of law looks like and how we're going to get there. [27:32] We launched the first conference four years ago with 200 attendees, zero exhibitors, and just 200 people that wanted to create the future of law with us. And in the four years now, we've got over 1,000 attendees lined up to attend the 2017 edition of the conference in New Orleans in September. [27:50] We've got a lineup of incredible speakers, keynote speakers including Haben Girma and Chris Hadfield who we're all, I'm sure, huge fans of. We've got one more big keynote announcement coming out before the conference. Peter: [28:04] Yeah, I saw that. There's a person that's blacked out. Peter: [28:07] Are you going to tell us who that is now? Jack: [28:09] When does this podcast air? Natalie: [28:11] Beginning of September. Peter: [28:12] Beginning of September? All right. It's going to be Preet Bharara, who is going to be the US Attorney for the Southern District of New York, and was famously fired by Trump. But more importantly, before being fired by Trump, had an unbelievable legacy of, I think, being a lawyer's lawyer. Just doing the right thing. Just fantastic keynote speakers. [28:30] And I think one of the things I'm most proud of, and kind of amazed by, is we have over 20 of our integration partners partnering with us to deliver this conference. Peter: [28:40] So, what is it giving to the lawyers themselves when they're there? Jack: [28:44] So, I think what they're getting out of it is learning from each other. It's not just here's Clio and a user conference. [28:53] So, we bring in all these other companies to deliver the conference with us. The conference is rapidly becoming one of the best attended conferences in the legal technology space. And there's a healthy number of non‑Clio users that are attending this conference, just to learn from the thought leaders that are talking about not anything related to Clio, but what the future of law looks like. [29:13] How to market your law firm. Tactical stuff like how to do SEO and SEM well. We're getting Google employees, for example, to come and give the straight goods on SEO, so you're not getting the snake oil that gets sold at every other conference. [29:27] So that's what we're trying to create with the conference is something that's bigger than Clio. And almost like Clio is the foundation on which a lot of this is built, but the conversations you're having with fellow attendees, what are you doing to create that different high‑performing law firm that we've been talking about? [29:45] What are you doing about that 20 percent utilization rate Jack just talked about on stage? Prompting the right kinds of discussions, then letting the audience engage with each other and engage with us, and for us to get in this broader discussion around what we should be building. [29:58] I think the other thing attendees get out of attending the conference is helping set direction for us. Like I said, we're collaborating with our customers and building the future of the practice of law together. So, the conference is the best opportunity to come and sit down with our product leadership team. [30:16] You can sit down with me or anyone else on my leadership team at the conference and talk about what you'd like to see Clio do. Or for us just to riff on that together and think about, what should we be building? And make it a back and forth collaborative discussion. [30:30] We've got a roadmap that gets set for the next year basically a Clio Con. We come back the next year and say, "Hey guys, here's what we built. What do you think?" Peter: [30:38] So, you run a business like most people who are Clio customers, and from my experience, and I wonder if yours is similar, there's always a focus on where we want to be. But we're not there yet. [30:50] What is the thing that you look at when you look at Clio, and you think to yourself, "That's a specific thing I want to fix," or, "That's where I want to get to where Clio isn't right now."? Jack: [30:59] So, we're starting to think about what's our second act? And I really think a lot of our focus over the last 10 years has been on the productivity and efficiency side of helping law firms run efficiently. That's the first step in making a great, world‑class law firm, but it's maybe a necessary but not sufficient condition to be a great, high‑performing law firm. [31:22] So, I think we've got a great foundation to build the next phase of Clio. And when I think about Clio's next decade, I talked about Amazon and retailers 20 years ago, and looking at the Barnes & Noble, and thinking this is maybe an outmoded delivery model. [31:38] I think about law firms 10 years from now and think there's going to be a healthy set of law firms that are entirely cloud‑based. Cloud‑based in the sense that there's lawyers running them, but they're interacting with their clients through a mobile first experience. [31:53] And we need to think about what will support the industry getting there, and building that ability for law firms to deliver a cloud first and mobile first experience to their clients. Because I think that's what the marketplace will be looking for. [32:07] And secondarily, some of these things like NPS, and then a natural follow‑on to that NPS question is, great, we see that you're a promoter. Thanks for the 9 out of 10 on NPS. Would you like to rate us on Avvo, or Google, or whatever the review site of choice might be? [32:23] And helping our customers close that feedback loop, and drive their reputation, see those positive second order revenue effects of having happy clients, and so on. So, taking all of those things together, I think the two big themes are growth and helping build a cloud‑based law practice. And that's, I think, what Clio's second decade will be focused on. Natalie: [32:47] Other than somebody going out and getting a Clio subscription, what do you think is the one action that somebody could take after listening to this that would help them build that better law firm? Jack: [32:56] I think a great way to understand what we're up to at Clio, and maybe to understand some of the data that I was talking about with respect to the legal trends report that might help catalyze that desire to go out and change the way you're running your law practice would be to read the legal trends report. [33:12] And maybe watch the keynote address that I delivered at the last Clio Cloud Conference that introduces the report. I think that would be a great way to get introduced to some of the concepts we talked about today. Peter: [33:23] So, we're going to be at Clio Conference. Peter: [33:26] And we were trying to think of what we wanted to ask lawyers. We want to interact with your users, because like that concept that you were talking about earlier, like what Clio Conference delivers, and frankly, why am I excited about Clio Conference? [33:40] And my primary motivation is what you were talking about earlier. It's that energy in that room, and it's that rising tide raises all ships. And that's what I love about the idea of Clio Conference, is you're just putting all these people that want to do better in a room together, and creating that type of environment in which that could happen. [33:56] And I think that's the real value that I'm excited about in going. And so, the things that we wanted to ask the people at the conference, we have a couple questions that we want to ask them. And I'll ask them of you leading into the conference. [34:09] What have you done for Clio that when you look in the mirror, you think, "I'm proud that I did that," or, "I love the fact that I did that."? Jack: [34:15] The whole way the cloud evolved for legal may have been way different if I personally and the company as a whole didn't take this action, which was back in 2008, 2009, when cloud computing was just getting started in legal, we saw that the security and ethics related issues surrounding cloud computing were really going to be the make or break for the industry as a whole. [34:36] If we were not able to get lawyers comfortable with the idea that their data could be stored in the cloud, and be as secure, if not more secure, than it is in the server on prem, we just wouldn't be able to make a go of it. [34:49] And furthermore, we saw a lot of the incumbents, like the Amicus Attorneys and the Lexus Nexuses of the world, starting to seed this campaign of fear, uncertainty, and doubt around cloud computing, where they're really saying Clio's insecure, the cloud is insecure, you're being irresponsible if you're using the cloud. [35:08] And in fact, starting to lobby bar associations to come out with ethics opinions that were anti‑cloud. And so, we saw very quickly back in 2008, 2009 that this was either discussion that we could lead or be dragged along by. [35:22] But we firmly believed that the cloud was emphatically more secure than your average solo small firm computing environment. And for that matter, more secure than most of your large firm environments, as we've seen by the number of data breaches over the last few years with in on premise systems at law firms. [35:38] But that was an audacious claim in 2009, but one that we made, and one that we supported with data. And one that we really led with the first white papers in 2008, 2009 on the security and ethics of cloud computing, a framework of what that could look like. [35:54] I started a national speaking tour speaking at every little CLE session across the United States I could get my foot into, just trying to raise the comfort level with cloud computing, educate the industry on what cloud computing was. [36:09] I co‑founded the Legal Cloud Computing Association with Larry Port, Rakesh Madhava from Nextpoint, and a handful of other leaders in that nascent legal cloud computing company cohort. And we successfully lobbied bar associations, and gave them the data to make the right kinds of decisions on their ethics opinions for cloud computing. [36:30] And saw with North Carolina being the very first ethics opinion issued on cloud computing, coincidentally based on an inquiry from an early Clio customer in North Carolina asking, "Is cloud computing acceptable?" [36:42] They spent two years deliberating on that question, but I think thanks to our education efforts with the bar association, ended up with basically a reversal, where I think the first draft of the ethics opinion would have been very bad for legal cloud computing in general. [36:56] The ethics opinion in the end ended up being very positive, and said, yes, it's acceptable, and your regular standard of care provisions apply. So, you need to have a reasonable expectation of privacy and confidentiality, and you need to apply a reasonable level of due diligence to selecting your cloud computing provider, but cloud computing is OK.
[37:13] And we've since seen 20‑plus other states adopt more or less the same language from North Carolina. So, that was one effort that I personally spearheaded, that Clio has a company spearheaded in the early days, that I think really helped directionally shape where legal cloud computing has gotten to in the last nine years. [37:31] And I think we could have easily ended up in a state where legal got stuck in the dark ages of on premise software if it weren't for those efforts. And that's something I'm really proud of. Peter: [37:41] Very neat. We can go on and on, but thanks so much for your time, and thank you for your willingness to do this. Jack: [37:48] Yeah, thanks for having me. Peter: [37:49] And thank you for the inspiration that Clio provides all of us. Jack: [37:53] Thank you. I really appreciate that. Peter: [37:55] So, like we said at the outset of the podcast, that I think what separates Clio from most companies, and why I'm inspired from them in the legal space, is the fact that they're looking beyond that immediate core product, and they're giving so much to the community, not only of their users, but the legal industry in general. Natalie: [38:20] I think it's just amazing to see two founders who, they don't come from the legal background. These are tech guys, and here they are with a really successful software company whose mission is to transform the practice of law. [38:35] It's not to be the best software company, or have the best legal practice management system, or anything like that. They're pushing that boundary, and like you said, making a dent in the universe. Peter: [38:45] I take your point. I wonder, are they the canary in the coal mine? We've had a lot of conversations and gone to a lot of talks where they talk about this idea that disruption usually comes from outside of the industry. [38:56] And they are a great representation of the people that are disrupting the legal industry. And the question is, are more people within the industry, are more lawyers or people working within the industry now, going to step up and become examples of disruptive forces coming from within the industry? Or is this industry going to be transformed by people outside coming in? Natalie: [39:20] I don't know if I can answer that question. From what we've seen, it's a little bit of both. We tend to see a lot of former lawyers who renounce the practice and law, and become involved in legal technology. Peter: [39:32] But are they disruptive forces? Clio is a disruptive force, and I don't throw that term around lightly. Who from within the legal industry that we know of, that we can point to, that says that's somebody that's disrupting the legal industry at the level that Clio is? Natalie: [39:48] My brain is going more to Seyfarth or something like that. I'm looking at large law firms that are leading the way in this or something, but it's always hard to find lawyers who are doing this. They're busy being lawyers. Peter: [39:58] I think more off the podcast, we always talk about how we get something from every interview, and then we try to integrate it into our firm in some way. What is it in this podcast that we're going to go take and implement? [40:11] I'll tell you what I thought of. I thought of the story of the dentist, and his friend changing dentists based on a calendaring system. And it's something that we heard before, but it really reinforced the point that getting rid of friction, and even really small frictions, and Jack said the ROI on that could be huge. [40:30] I think that's a really important point, and something that I think I want to look more and more at in our law firm. Natalie: [40:36] I would like to make it more visible and easier to see every day what your utilization rate is. And I think having that at the forefront of your mind is what I see as the action item, or the thing that you can learn from the legal trends report. Peter: [40:51] What do we think of Clio Conference? We're going. Natalie: [40:55] I'm very excited. I actually am really looking forward to the opportunity to sit down with some of the Clio product managers, talk about the things that we would like to see in Clio, and how that could possibly work. [41:04] And anything we could do to start working with them, because I think they're a phenomenal company. And I think that what they're doing is just unbelievably inspirational, and I just admire it. Peter: [41:16] Yeah, and I'm really looking forward to, as we were talking about in the podcast, that energy, and being surrounded by all those people who are trying to do better. And really excited to go. It's in September, 25th, 26th, right? Natalie: [41:26] It's September 25th, 26th. It's down in New Orleans. Peter: [41:30] I'm so excited to go to New Orleans. Natalie: [41:32] If anybody feels like joining us, we actually have a discount code. So, we'll put the link to a 20 percent discount off of tickets to go to Clio Con in our show notes. Peter: [41:40] And we're figuring out how to get a booth down there, so you might see us interviewing people and stuff like that. So, if you're listening to this, and you're at Clio Con, come by the booth and say hello. Natalie: [41:50] Yeah, come and tell us your story. I'd love to hear more about not just the people who are winning the awards, but everybody else who's also doing something amazing. 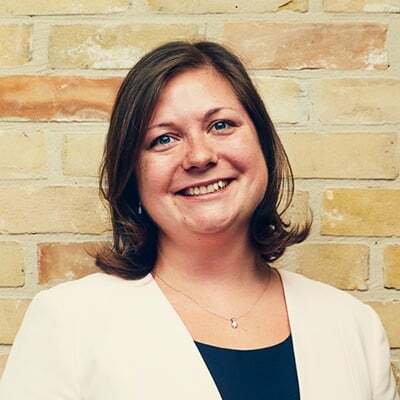 Natalie: [41:59] For this episode, show notes and transcript, and how to satisfy your law society CPD requirements, please visit our website at buildingnewlaw.ca. We'd love to hear from you, and if you have any feedback, feel free to send an email to info@buildingnewlaw.ca, or come and find us on Twitter @buildingnewlaw. [42:18] Don't forget to subscribe on iTunes, our website, or wherever else you get your podcasts. Sponsor: [42:29] Thanks for listening to the Building NewLaw Podcast brought to you by Counter Tax Lawyers. To learn more about Counter, go to countertax.ca. Lawyers that have completed the S02E09 BNL CPD cam claim a 45 minutes Professionalism CPD credit. To access the S02E09 verification examination click this link.